Any wine-snob will tell you to sniff before you sip. Each wine has its own aroma, which the connoisseur can describe using more than 100 wine scents, from the delicate, such as violet, to the improbable, such as "sweaty leather saddle" or "band-aid." If you really knew what was in the wine, you might be able to win a cocktail party bet by describing the bacterial undertones, maybe the nose of sphingomonas, or notes of a fungus called — and I’m not kidding — botryotinia fuckeliana. A new study from UC Davis found that while you can’t actually smell the microbes, they might influence the subtle aromas that give wines their distinctly regional taste or, as it’s known in wine circles, its terroir. Terroir is a French idea that the environment in which a grape grows determines its flavor. Regional differences in the soil, weather and climate of a vineyard create wine with its own combination of chemicals that curl into your nose, roll over your tongue and tell your brain, "Dang. That’s some good wine." The recent UC Davis study on two wineries in Napa County is the first to find that the consortia of bacteria and fungi in the wine grapes can predict the final chemical signature that ends up in your glass. The Dolce Winery is one of five sister wineries that grow grapes on hundreds of acres in Sonoma and Napa counties. 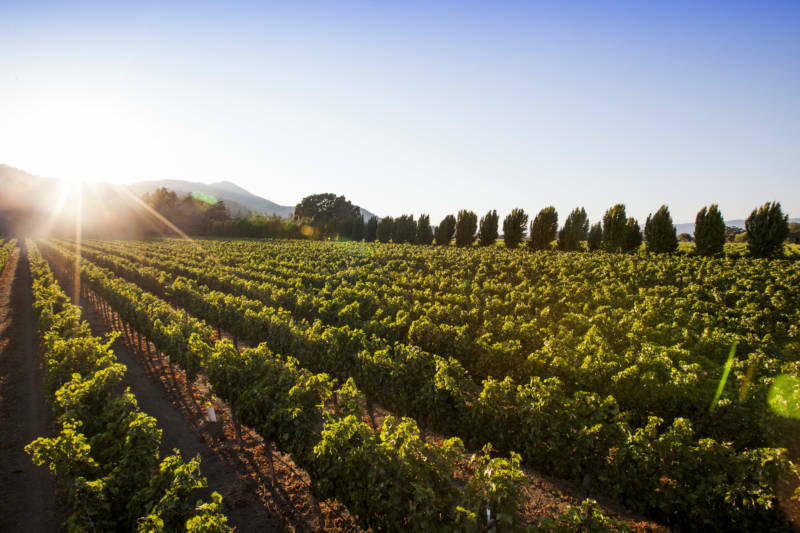 Any one of those vineyards is fit for a California postcard of wine country: rolling hills covered in vines that filter golden rays of sunlight. Greg Allen, co-author of the study and winemaker at Dolce, describes the scenery a little differently. “It’s a microbial zoo,” he says of the grapes from the company’s late-harvest vineyards. Allen has been studying the microbiology of wine with UC Davis researchers for two decades. When he first started, the tools were crude. “You looked at fuzzy dots on a petri dish to determine which yeasts were there,” he says. Now Allen and the UC Davis researchers can analyze millions of bits of DNA to identify bacterial species, getting a more precise picture of what's there. In previous research, the team used this DNA fingerprinting technique to show that California's large wine regions each have a distinct microbial make-up. This time, the team narrowed the focus to ask whether the microbial signatures are different in individual vineyards, even those located near one another. Allen led a team that collected samples from 23 vineyards in various parts of Sonoma and Napa counties; all vineyards grow chardonnay and cabernet sauvignon grapes for Dolce’s sister wineries, Nickel & Nickel and Far Niente. Researchers found that wine at first crush had the greatest microbial richness, with abundant, diverse species. 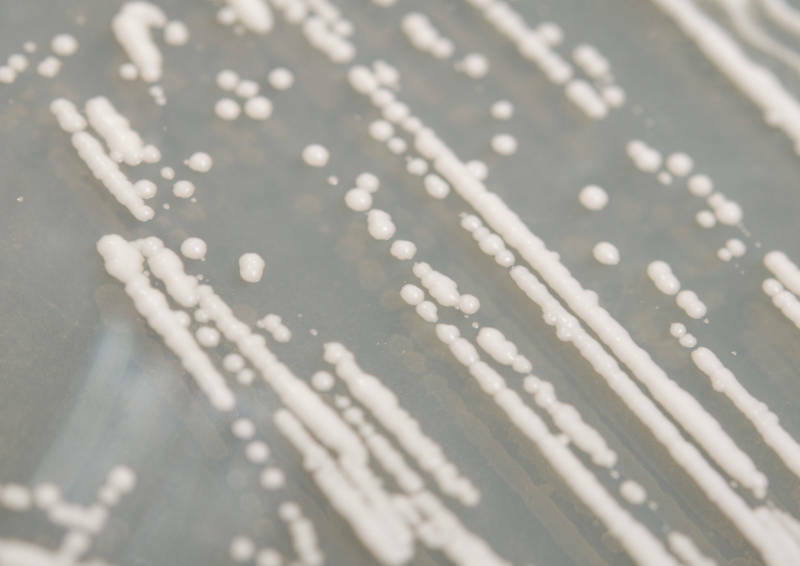 Bacteria and fungi changed at each stage of fermentation. And each vineyard, even those right next to each other, had its own microbial ecology, its signature species of bacteria and yeast crawling in the soil and floating in the breeze. Right when you press the first grape, microbes begin the process of fermentation. One of the heavy-hitters is the yeast Saccharomyces cerevisiae; it feasts on sugar to produce alcohol and carbon dioxide. Later, certain strains of lactic acid bacteria metabolize sour-tasting malic acid into milder — you guessed it — lactic acid. But wine needs more than that to develop the complexity it's known for, says David Mills, microbiologist in the Department of Food Science and Technology at UC Davis and senior author of the study. To find out, the scientists sampled the wine at various stages of fermentation, from the first press of the grapes and skins to the fermentation tanks to the wine in the barrel. The researchers found the microbial patterns that show up at the beginning of fermentation accurately predicted the chemical composition of the finished wines. That doesn’t mean the organisms cause the flavor, Mills warns, but the findings show a relationship. A glass of wine is a brew of molecules strung together into chemical compounds. Think about it — water is a chemical concoction of two hydrogen atoms and an oxygen atom. Similarly, wine yields up a character based on the chemical compounds that have developed through fermentation. Sensitive sommeliers that pick up outrageous flavors, such as cat’s pee in sauvignon blanc or cola in pinot noir, are actually detecting aromatic compounds. The study did not draw a direct line from the chemical compounds to the exact tastes they produce — that would be the next step.